DA to challenge land expropriation without compensation - SABC News - Breaking news, special reports, world, business, sport coverage of all South African current events. Africa's news leader. 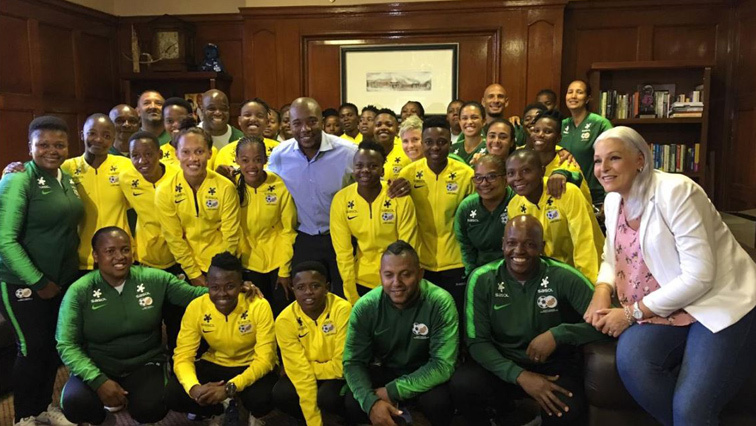 Banyana Banyana have been given a parliamentary tour. Democratic Alliance (DA) leader Mmusi Maimane says his party will write to the President to ensure that land expropriation without compensation does not become law. Maimane was speaking on the side lines of a Parliamentary tour with Banyana Banyana. Late last year, both houses of Parliament adopted a report by the Joint Constitutional Review committee that the Constitution should be changed to enable expropriation without compensation. Maimane says his party will oppose this. DA Leader @MmusiMaimane engaging #BanyanaBanyana in his office in Parliament. "I want to wish you great success. Represent us well in the World Cup, and I will continue my campaign of #EqualPayforEqualPlay!" This entry was posted on 14 Jan 2019,03:24PM at 3:24 PM and is filed under Politics, News, Homepage Latest Stories Slider, Homepage Featured Story Slider. You can follow any responses to this entry through the RSS 2.0 feed. Both comments and pings are currently closed.